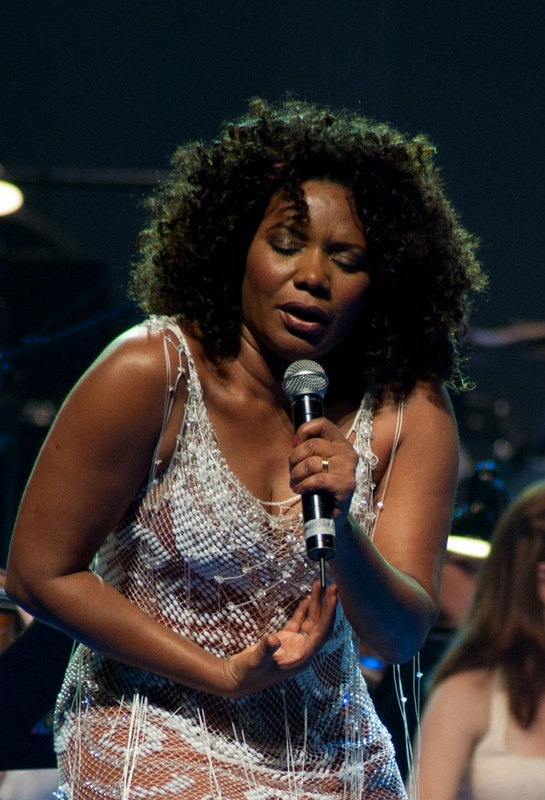 Margareth Menezes is an awarded Brazilian pop star born in Salvador, Bahia. She has done tours with David Byrne and recorded several albums released worldwide, which have been lauded by such publications as Billboard and Rolling Stone magazines. She has participated in many tours throughout Europe, Brazil, and the U.S. Menezes has achieved superstardom in her native Bahia. She is famed for her energetic live performances and regularly tours and performs at carnival celebrations. Her music also steers into samba and MPB territory, at times drawing on African rhythms and reggae. Menezes is best known in Brazil for her song “Me Abraça e Me Beija”, a major hit in 1990. She also scored another hit with “Dandalunda”, a song that became the unofficial anthem of the 2003 Salvador carnival. Since an early age, Menezes was surrounded by popular music, through both her mother’s love for it and the rich musical tradition of Bahia. She soon began to sing in every possible situation, and in her teens started to perform in the animated “trios elétricos” from Bahia’s Carnival. 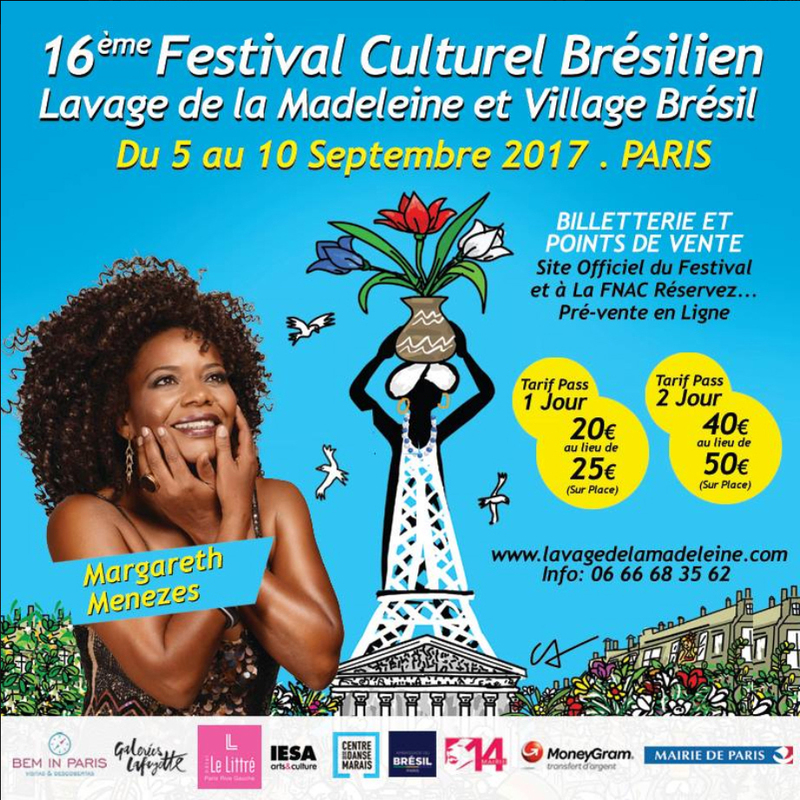 Margareth Menezes next concert in Paris will be during the biggest Brazilian Street event in France called “Lavage de la Madeleine” which is a replica from Afrobrazilian tradition in Salvador called “Lavagem do Senhor do Bonfim”.